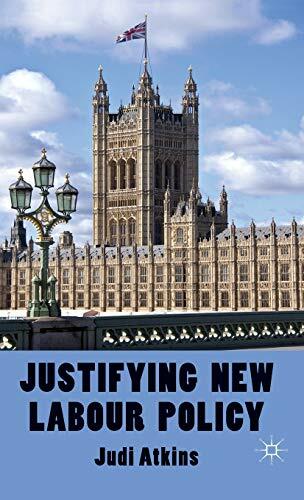 Justifying New Labour Policy: 9780230279117 Hardcover - LIMEROCK BOOKS INC.
JUDI ATKINS&nbsp;is Research Officer in the Department of Politics and Cultural Studies at Swansea University, UK. Her research interests include political argumentation and rhetoric, ideology and British politics, and she has published a number of articles in these areas. She is currently working with Alan Finlayson on a Leverhulme Trust-funded project on British political speech.